Less than a week before ward No. 11 of the Municipal Corporation of Chandigarh goes to poll, affidavits submitted by the Congress candidate, Mr H.S. 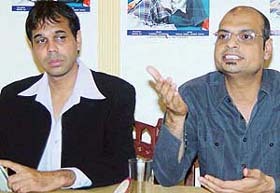 Lucky, nine years ago for getting loans from government agencies, have kicked up a controversy. The lungs of City Beautiful are virtually choked. Barring a few parks in the city, most green spaces are crying for urgent attention. Some gardens that should be serving as leisure spots are actually being condemned as spaces for dustbins and parking lots for vehicles. PARKS OR DUMPS? 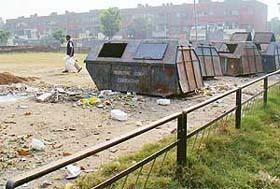 A park in Sector 33-C is being used as a garbage dumping ground. 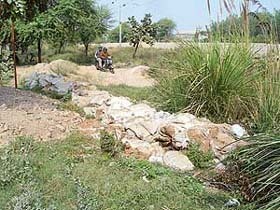 Troubled over the inaction of the Punjab Government to remove encroachments on the natural flow of seasonal rivulets flowing through Panchkula, the Haryana Urban Development Authority has asked the Panchkula district administration to take up the issue with the neighbouring Patiala administration. A local court today issued bailable warrants against Deputy Superintendent of Police Rajshree Singh, Tehsildar Bir Singh and Assistant Sub Inspector of police, Omkar Singh. Ms Harpreet Kaur, Judicial Magistrate (First Class), today remanded Col M.S. 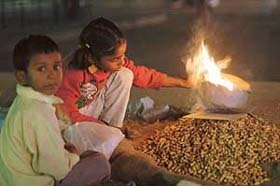 Bains and his son Vikram in judicial custody. Both are accused of torturing Ms Beant Kaur, widow of Air Vice-Marshal Harjinder Singh and her sister Satwant Kaur. "The nation needs a people's movement to weed out corrupt and criminal elements of society that have infiltrated important institutions like Parliament. Unless the people shut the door on such elements, the nation cannot move forward". 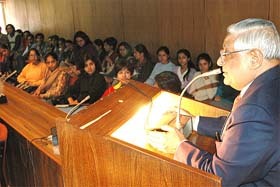 Mr H. K Dua, Editor-in-Chief of the Tribune Group of Newspapers, speakes at a lecture on the "State of the Nation" at Panjab University on Tuesday. The detoxification drive of the Central Government aimed at cancelling the appointment and repatriation of 327 Principals of the Kendriya Vidyalaya Sangathan suffered a setback today with the Chandigarh Bench of the Central Administrative Tribunal staying the order. An Army pilot study has revealed low levels of job satisfaction among medical officers, including specialists, in the armed forces. Poor utilisation of skills, low promotional prospects, inadequate redressal of grievances and current organisational policies are among factors cited as the reason. Coming down heavily on the industrial and commercial site owners running unauthorised marriage palaces, the Sub-Divisional Magistrate today asked the regulatory authorities to take action against them. The notification of the Chandigarh Administration regarding the imposition of 3 per cent tax on the commercial property has kicked off the blame game among three major contenders from the ward No 11 of the Municipal Corporation of Chandigarh, which is going to poll on November 28. The Mohali Municipal Council will be the nodal agency to forward cases of those eligible for pension to the aged, widows below 60 years of age and the handicapped. Eight such cases from the township recommended by the council would be forwarded to the Punjab Government following a nod during the council’s monthly meeting scheduled to be held on November 29. Coping with diabetes for the past seven years, legendary Pakistani all rounder Wasim Akram said healthy diet, regular exercise and daily monitoring of the blood sugar level could go a long way in keeping the disease in control. A book on special benefits and privileges available under law to servicemen, ex-servicemen, widows and their families has been brought out by two city-based advocates. A minor girl from Ram Darbar had complained to the police that two boys from her locality had tried to molest her by threatening her with a knife. Residents of Sector 33 were taken by surprise in the early morning today when they found the manhole covers in their houses missing. More than 20 manhole covers were stolen from seven houses in the locality last night. The local police arrested six persons for allegedly attacking the enforcement staff of Municipal Corporation of Chandigarh at Sector 40-D, today. The Narcotics Control Bureau, Chandigarh, seized 760 kg of poppy husk and arrested three persons, according an official press note released here today. The bureau said the poppy husk was carried in a truck and a car in jute bags of 40 kg each. A three member team from the All-India Council of Technical Education visited the Chandigarh College of Art, Sector 10, today following a proposal sent by the college to the council to approve its postgraduate course in fine arts. 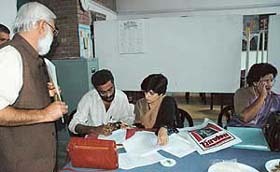 AICTE team members at the Chandigarh College of Art, Sector 10. — A Tribune photograph. It was a special day for the students of Government Model Senior Secondary School, Sector 46, today. Dressed in colourful attires, the students presented cultural items at the annual prize distribution function held in two sessions. In the morning session, Ms Rajesh Chaudhary, District Education Officer, gave away prizes to students who had topped in their respective classes. 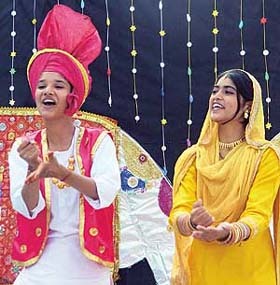 Students of Government Model Senior Secondary School, Sector 46-D, perform during the annual prize distribution function on the school premises in Chandigarh on Tuesday. 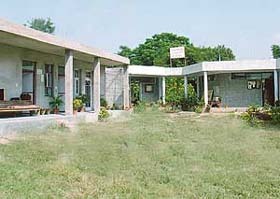 Our school was established in 1990 under the guidelines of the Sherwood Convent Education Society. Our qualified staff stresses on personality development, indoor/outdoor games, and value-based education. A view of Sherwood Convent School, Mohali. Students of the local Government College had an interesting interaction with Brigadiar Kuldeep Singh Chandpuri (retd), a Mahavir Chakra winner and the hero of the Battle of Longewala of 1971. 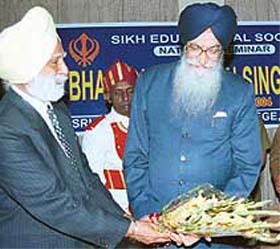 Tamil Nadu Governor S.S. Barnala being presented a bouquet by Mr Gurdev Singh, president of the Sikh Educational Society, at a national seminar on Bhai Kahan Singh Nabha organised at Sri Guru Gobind Singh College, Sector 26, in Chandigarh on Tuesday. A public-interest petition, seeking investigation by the Central Bureau of Investigation into the alleged financial irregularities and misappropriation of over Rs 6 crore by the management of Chandigarh Club, has been filed in the Punjab and Haryana High Court. A friend dropped in after a rainy evening. The rain had stopped and the sun was playing peek-a-boo with clouds. But the crowning glory was a big rainbow stretching across the azure sky. ‘’Let us go, for a walk’’, said my friend. ‘’Where?’’ I asked. ‘’Till the end of the rainbow.’’ ‘’Why?’’ I asked in disbelief. ‘’Don’t you know? At the end of rainbow lies a pot of gold,’’ he claimed. 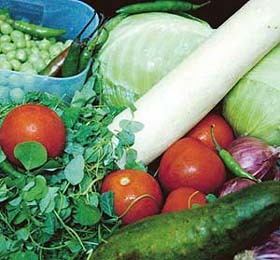 This rainbow is an important part of our daily diet too as all kinds of hues can be seen on our platter. 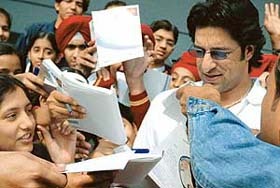 Captivating smile broadens just a little bit as Pakistan’s former skipper Wasim Akram grips a cheerful red cap with firm fingers before settling down in a Sector 17 showroom for a short innings with his fans. Fortis Hospital, Mohali, today announced that the hospital had been empanelled with the Ex-Servicemen Health Contributory Scheme. The scheme covers retired Army, Navy and Air Force personnel registered for the ECHS as also widows and dependents of ex-servicemen. 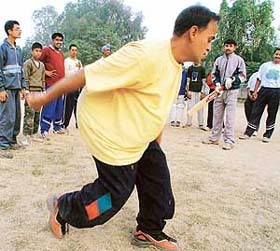 Special children of Chandigarh region will feel their global presence felt when a team comprising 13 mentally challenged cricket players will take part in the Master’s Asia Pacific International Cricket Tournament going to be held at Ahmedabad from December 1 to 6. A three-member delegation will visit Lahore on November 27 for two days to discuss the final modalities of the Ist Indo-Pak Punjab Games going to be held at Patiala from December 5. The delegation will be led by, Mr Gurbir Singh, chairman, Games Technical Conduct Committee, Mr G.S. Aujla, and Mr T.C. 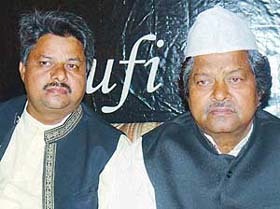 Gupta.